IMPORTANT: this excursion is submitted to the CIDMA availability (CIDMA fee: not included). CIDMA is an organization that collect all the docs and pictures of the most important mafia bloodsheds. It’s important to know that it is not recommended for family group with too young kids (up to 10 YO) to avoid to impress them too much. IN ANY CASE visiting the Anti-mafia museum instruct people to understand how Sicilians hate mafia (as organized crime) and how important and honest judges and police staff risk their life trying to destroy the mafia’s power. For sure visiting this site is a great way to introduce yourself to understand also Social conflicts in combo with the visit to the small village of Corleone. This is for sure an educt tour. 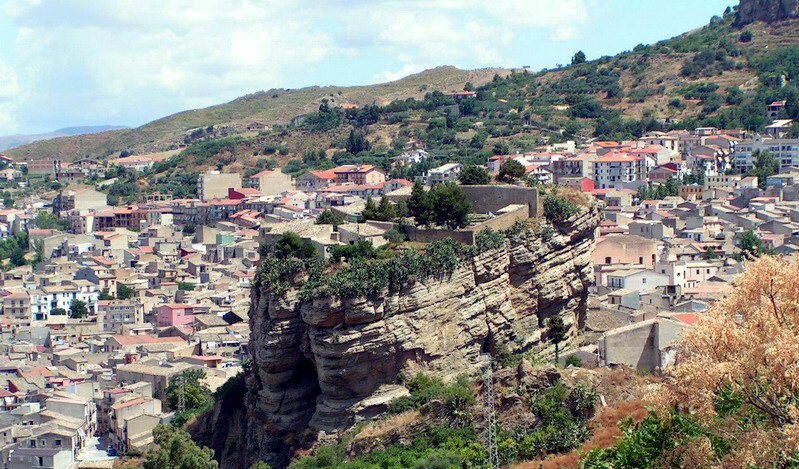 Today you are greeted at Palermo port and drive to small village Corleone, one of the attractive places in the environ of Palermo and is known primarily as the birthplace of Mafia. Beginning in the 1960s. The village became famous (or perhaps infamous) for its Mafia, being the town in which some well-known clans had their headquarters (the Clan dei Corleonesi). The name of the town was used as the adopted surname of the title character in Francis Ford Coppola's movie, The Godfather. In the novel, Vito Andolini emigrates from the village of Corleone, his last name gets changed by a miscommunication between the man helping Vito and the man logging in the names at Ellis Island by saying 'Corleone' instead of 'Andolini' because he was unable to respond when asked for his proper name, and is given the last name of Corleone by an immigration official. The town is very nice and typical Sicilian style. Later we drive back to Palermo to explore the lively Capo Market, a large open air street market that captures the flavor of Palermo's Saracen Arab past. Capo is a blend of general confusion and a jumble of vendors' stalls, winding toward the old gate (Porta Carini) of what used to be the city wall. This afternoon we continue by seeing Piazza Pretoria and Via Maqueda, whose “four corners” converge Palermo at a quartet of baroque palaces left over from the heyday of Spanish rule dating from 1560. Later return to the port. CIDMA is the Anti-Mafia Museum located in the town of Corleone. CIDMA fees are not included in the tour, You will find this extra service on the booking procedure. This surcharge will be applied only in case of CIDMA availability. If the CIDMA is not available the tour will be operated including a different stop in accordance with the Driver. Our staff will be pleased to meet & greet you at the Docking Pier.